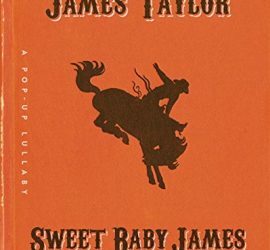 In March 2017 JT announced Sweet Baby James, a new “pop-up lullaby” book billed as “a beautifully illustrated and stunningly produced pop-up book that brings to life James Taylor’s enduring 1970 classic song ‘Sweet Baby James’ for music lovers of all ages.” After a long delay the book will now be sold exclusively via JT’s official site with a release date of March 12, 2018. See Newsweek for an excerpt from “Sweet Dreams and Flying Machines,” a new JT biography by Mark Ribowsky. The book is available now from Amazon. The James Taylor Encyclopedia is now free to download in PDF format. The book was published in 2005 by JTO webmaster Joel Risberg and is still in print, though you can now download the book in its entirety for free. 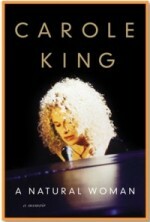 Carole King’s new memoir, A Natural Woman, is now available from Amazon. 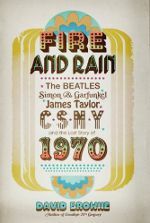 Music critic and biographer David Browne writes to tell us about his new book, “Fire and Rain: The Beatles, Simon & Garfunkel, James Taylor, CSNY and the Lost Story of 1970.” From the author: The book in part details James’ life in 1970: the recording and release of Sweet Baby James, his touring, the filming of Two-Lane Blacktop, and the breakthrough of “Fire and Rain” that fall. I’ve interviewed James, Leland Sklar, Russ Kunkel, Peter Asher, Kootch, and many more in that circle. The book is available now from Amazon.com. 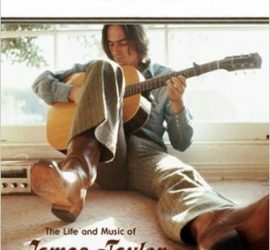 The James Taylor Encyclopedia is a reference book about JT by the webmaster of JTO. It’s brimming with facts about JT and his career that serious fans will consult again and again. You can preview and buy the book at Amazon or download it instantly in PDF format for only $4.00.